I rolled into Jamaica expecting reggae music and Lion of Judah flags waving around main street. It wasn't quite like that, there was a lonely dog walking through the middle of main street, and a couple cars parked outside this place. 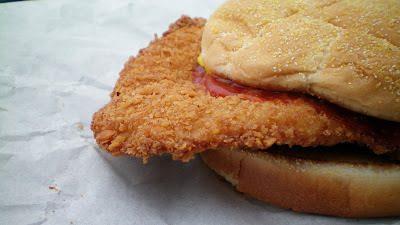 Jamaica is another small Iowa community with a single "pub & grub" that serves a giant tenderloin. 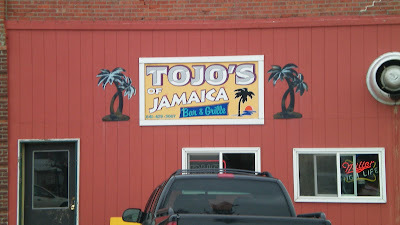 Tojo's is run by a lady named Tommie Jo, and her place has a beach house theme and tons of fried food. Location: 408 Main St. in Jamaica (population 237) is in the northeast corner of Guthrie County Iowa. Directions: Take Highway 141 about 8 miles west from Perry, then north on county road when you see "Welcome to Jamaica" sign. 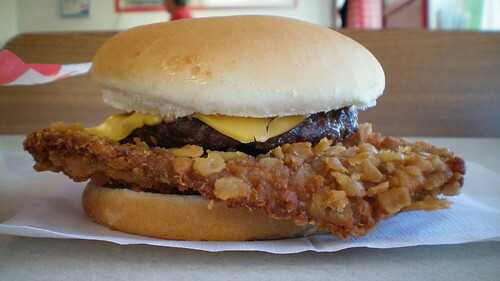 Also on the menu: a selection of fried stuff and other bar food favorites. Service: I think the owner took my order and cooked the food while serving a couple other people there at the time. Ambiance: This is well lit for a pub. There a brightly painted walls covered with signs for beer and Nascar stuff. There are plenty of seats, tables, booths and a bar. The beach theme is nice. 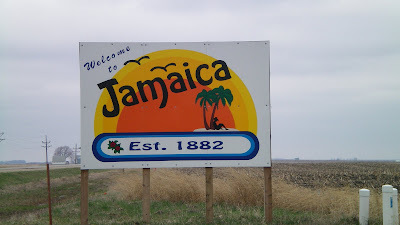 Final Thoughts: Jamaica is not the tropical paradise that its sign may imply. 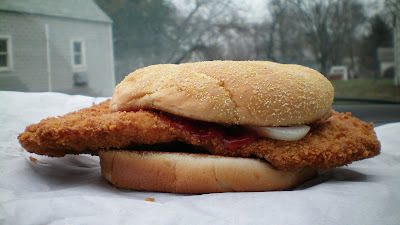 The tenderloin could have been made in heaven. 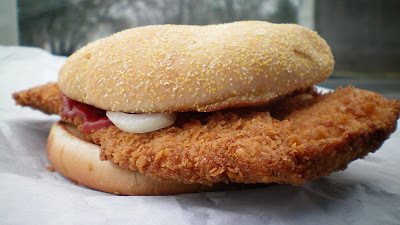 Its big and tasty, and this town may be the eastern edge of the serious tenderloin region in west-central Iowa.